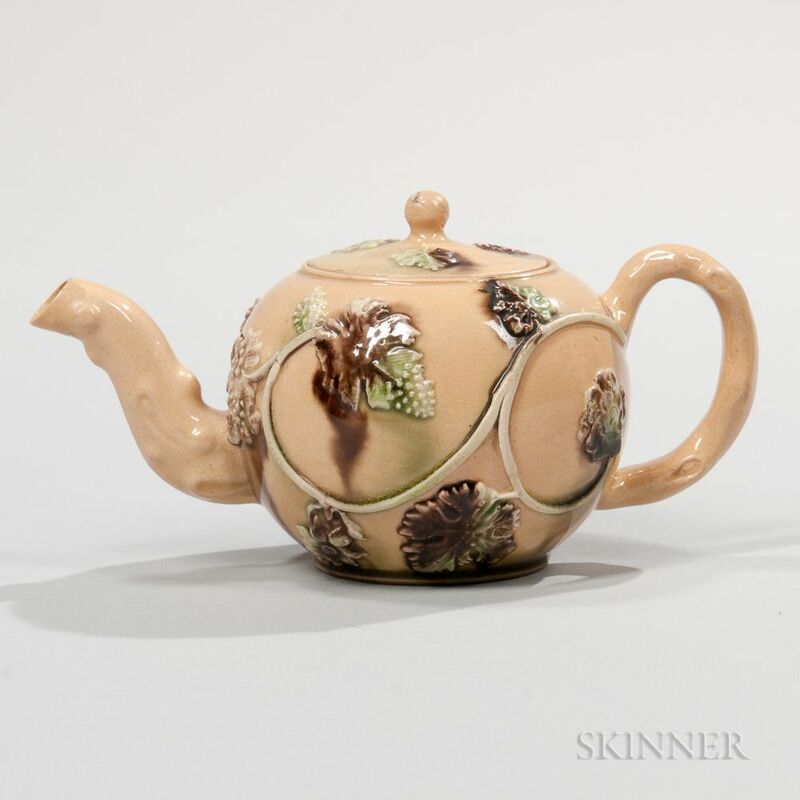 Staffordshire Buff Ground Earthenware Teapot and Cover, England, c. 1750, bulbous form with molded crabstock handle and spout, leaf, vine, and berry sprigging splashed with manganese and green, ht. 3 1/4 in. 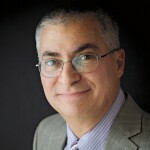 Provenance: Macy collection; Goldweitz collection, The Victor & Muriel Polikoff Collection. Cover: Rim chips restored; firing loss to finial; several edge nicks; firing hairline. Pot: Numerous chips to inner rim; restored chips to spout.